Home » Store Front » Engineering, drafting and design supplies SALE! 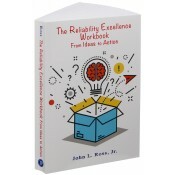 » Reliability Excellence Workbook SALE! Notify me of updates to Reliability Excellence Workbook SALE!